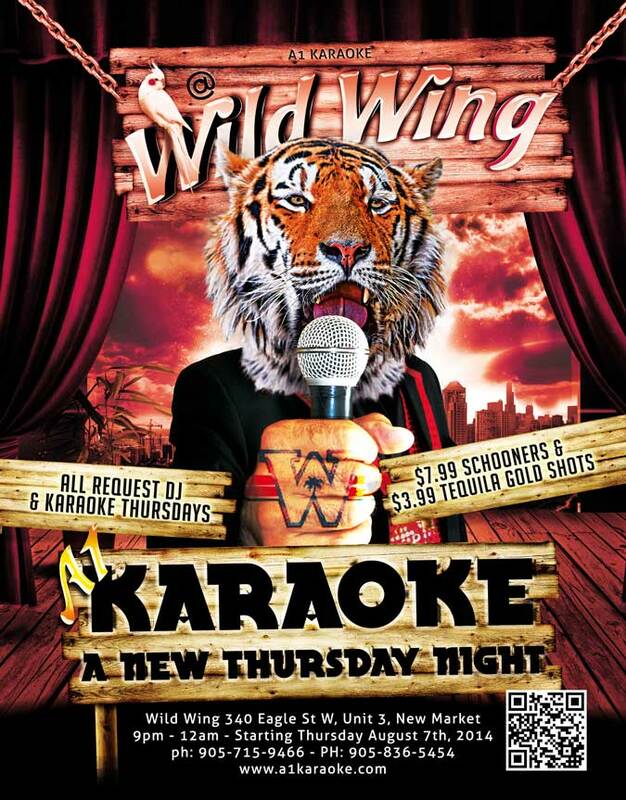 A1karaoke - Events - Thursday Night Party - Friday Night Party - Saturday Night Party - Where we are and where you can be if you want to enjoy an A1 night. 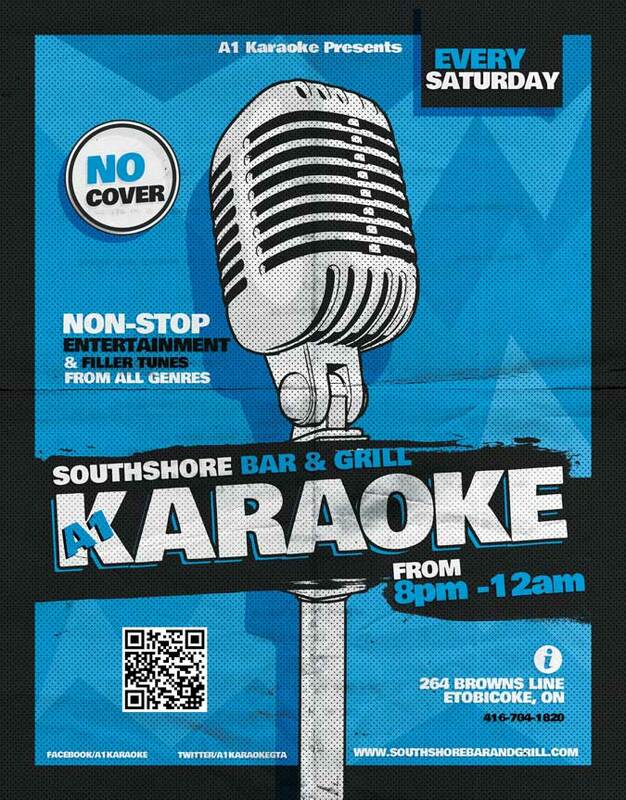 Are You Looking For Karaoke Nights In Toronto And The GTA? Here Is Where We Are And Where You Can Be If You're Ready For A Good Time and/or You Love To Sing! 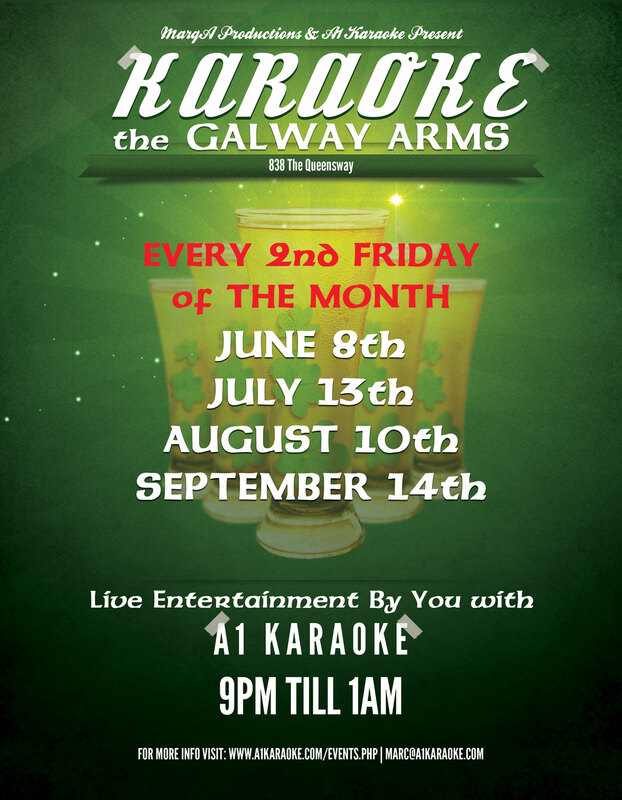 Eat, Drink, Dance & Sing the night away every 2nd Friday of the month from 9pm-midnight at The Galway Arms! Starting Friday May 11th at 9pm. Looking for entertainment? give us a shout. 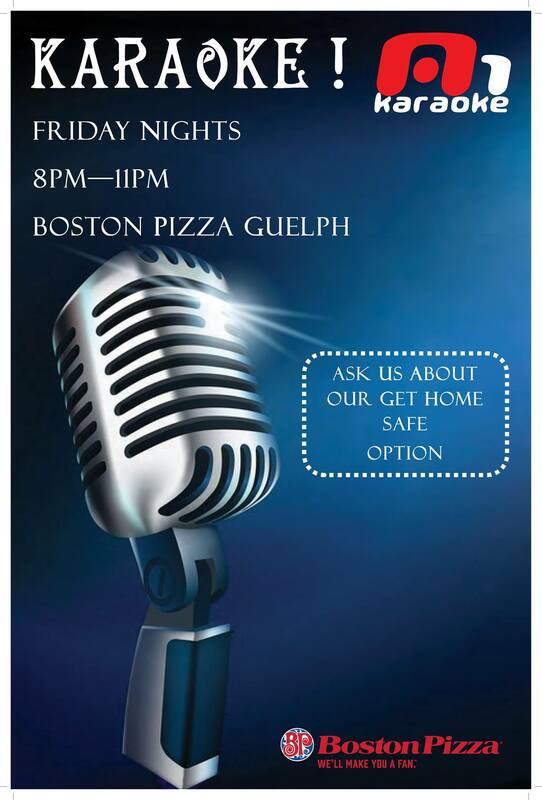 Eat, Drink & Sing the night away every Friday night from 8pm-11pm at Boston Pizza Guelph! Starting Friday April 7th, 2017 at 8pm. 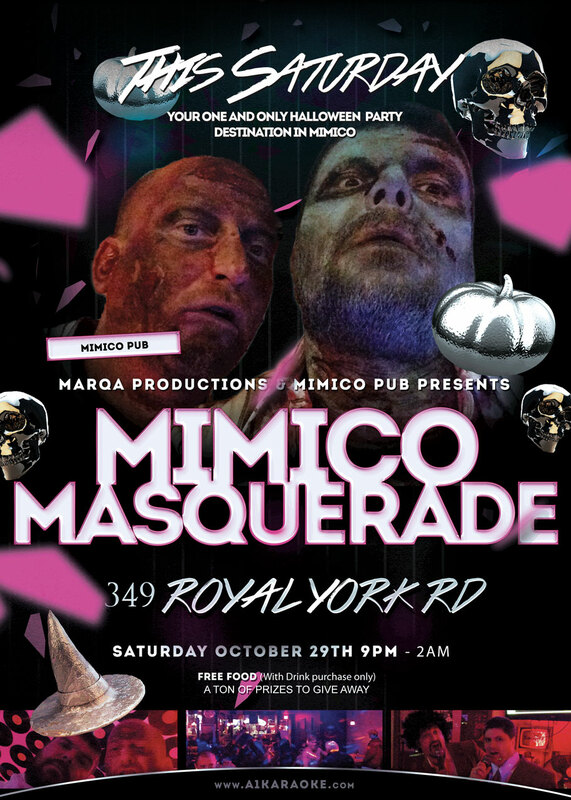 Your One and Only Halloween Party Destination in Mimico! Free food and a ton of prizes. Every Friday and Saturday night A1 Karaoke sets it straight as you take the vinyl topped stage of Mimico Pub & Grill by storm! 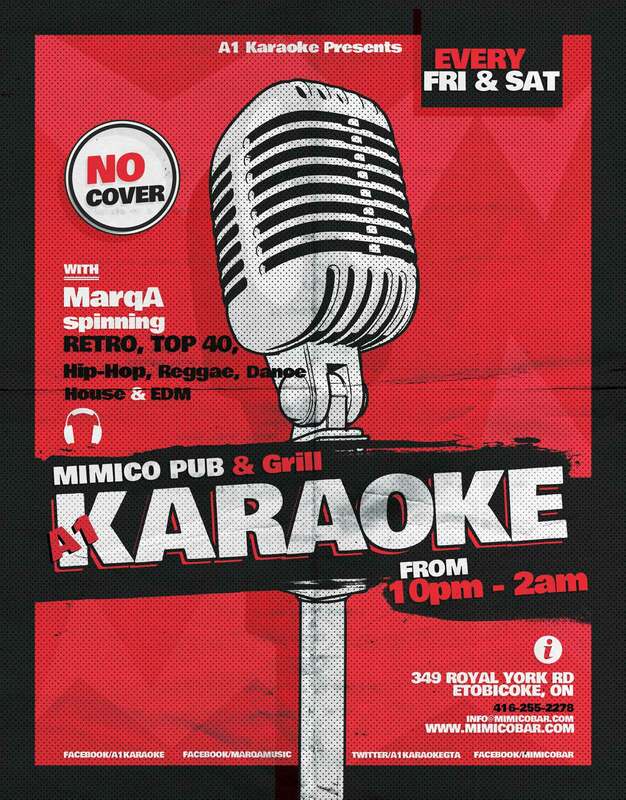 $3.50 domestic bottles of beer and $5 shots every Friday & Saturday night with you on stage and MarqA spinning Retro, Top-40, Hip-Hop, Reggae, Dance, House & EDM at Mimico Pub & Grill. Hope to see you all out there and don't forget to warm up those chops! 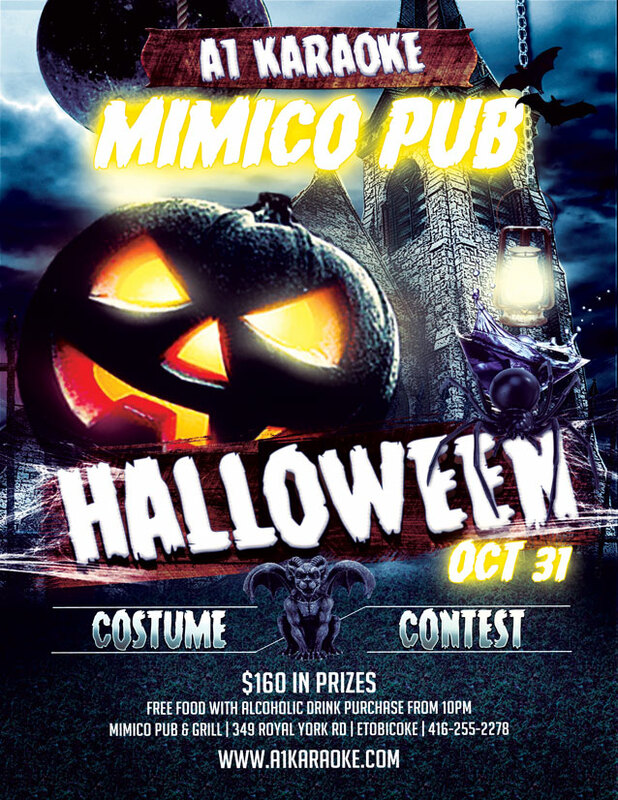 This year, Mimico Pub & Grill is giving away another $160 in prizes in what is easily one of the biggest parties of every year in Mimico. 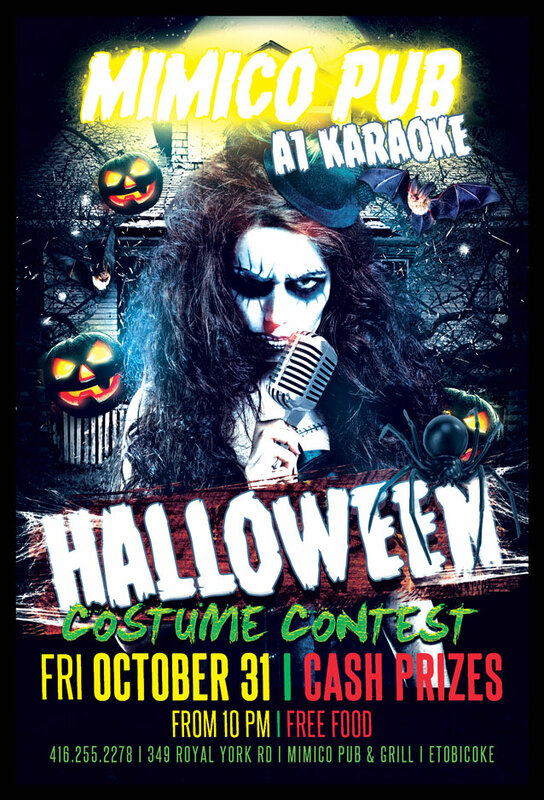 Once again, Marc Ainsworth (MarqA) and Tony Peliggi of A1 Karaoke will rock the casbar with haunted tunes from yesterday to today while singers take the stage for karaoke in their best Halloween costumes. Free food with any alcoholic drink purchase and FREE entry into the party for everybody! 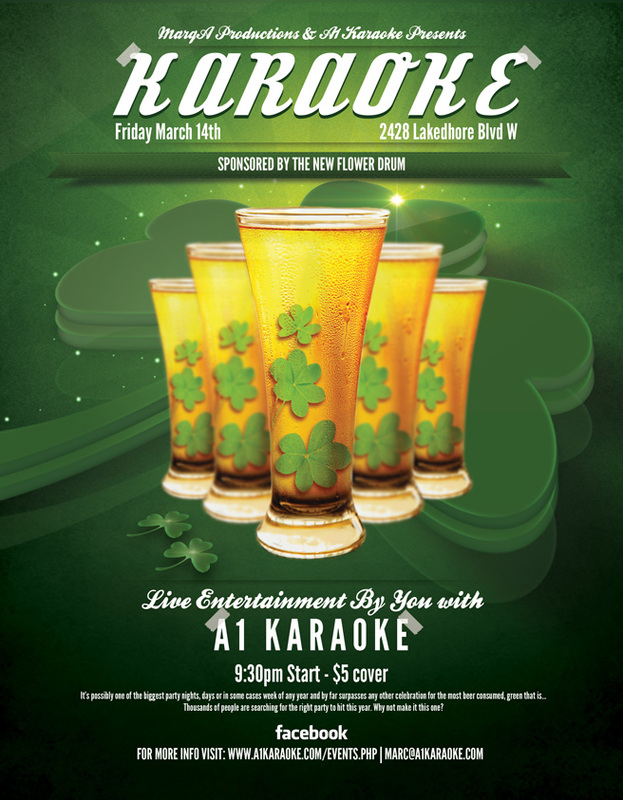 Come out and enjoy an awesome night of music and drinks with two DJs, live singers, free food and a chance to win some Mimico Cash! 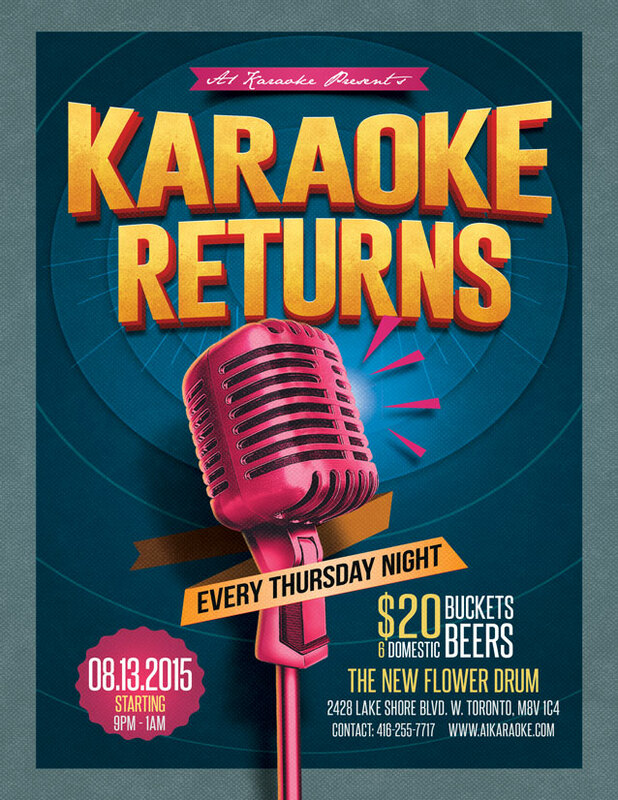 Every Thursday night A1 Karaoke heads home to where it all started back in 2009 inside The New Flower Drum. Join A1 Karaoke's Tony P inside Mimico Pub & Grill, 349 Royal York Rd in Etobicoke for a completely FREE New Year's Eve bash! 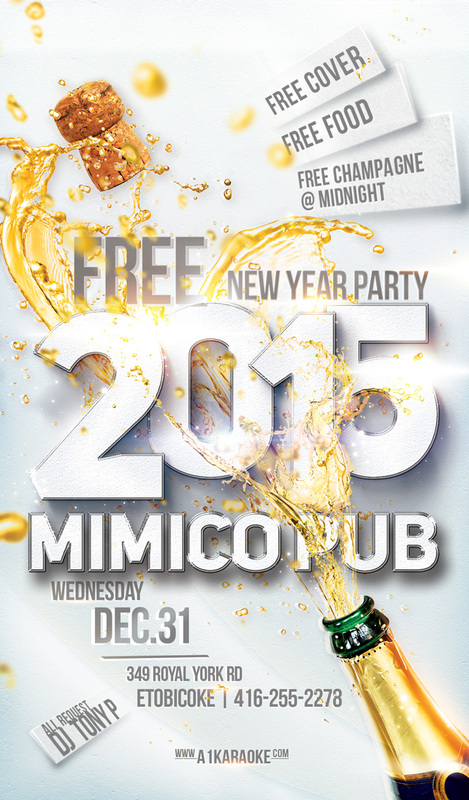 By FREE we mean FREE Cover, FREE Food and FREE champagne @ midnight. Tony will be taking requests all night and dropping anything and everything. You may even be able to sing a few if you're up for it. Hope you can make it out Wednesday Dec 31st for this great night! Join us inside Mimico Pub & Grill for our regular Friday night madness with a twist on Halloween night. We're giving away Mimico Pub cash and more and looking for the most creative, the scariest and the funniest costumes on the block. Think you're costume can take the prize? 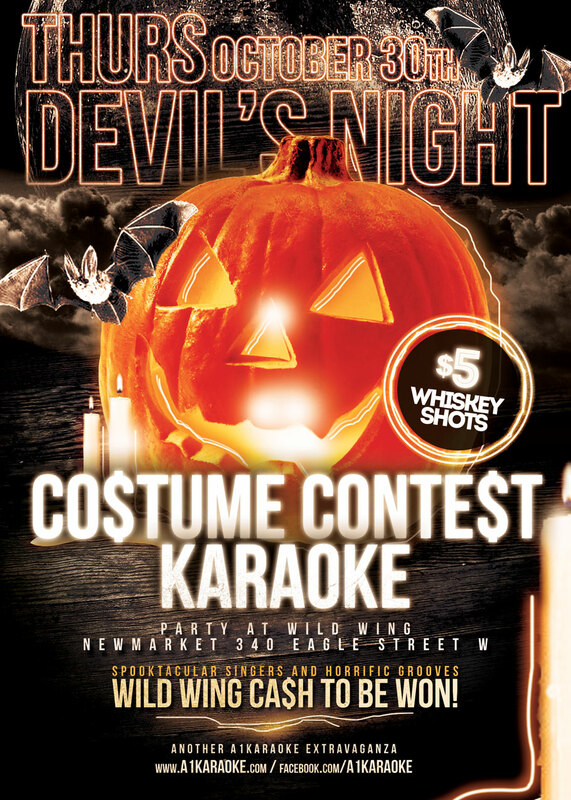 We'll see you at 349 Royal York Rd Friday October 31st at 10pm for FREE food, DJ & karaoke and the fancy dress costume contest. Join A1 Karaoke on Devil's Night Thursday October 30th for a spooktacular edition of our regular Thirsty Thursday Karaoke, "Devil's Night Costume Contest Karaoke" with Wild Wing Ca$h to be won and horrific grooves between singers with MarqA and Tony P. Get dressed up and come and have some fun singing and maybe win one of three gruesome Wild Wing gift certificates. 2 for 1 appetizers from 9pm and $5 whisky shots all night long. This Friday night, join us for one of the biggest celebrations of the year, St Patrick's Day. Drink, Be Merry, Party and SING! Sponsored in part by The New Flower Drum @ 2428 Lakeshore Blvd W, Toronto. Thousands of people are searching for the right party to hit this year. Why not make yours this one! Show starts at 9:30pm and we're asking for a wee donation in the form of a $5 cover to cover our costs. The drinks will be flowing and the food will be scrumptious as always.